Bad first line is bad. "The greatest muscle car that ever wore the uniform..." I don't think so. Vic's are cool, but no where near the greatest. 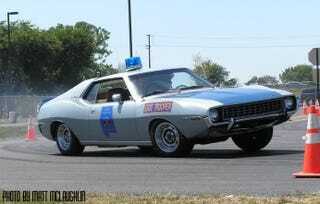 This is one of those rare times when many real muscle cars actually had better performance than a modern car.